This is the limited edition format version of this book exclusive to core hobby stores, featuring an alternative-art cover beautifully illustrated by Vance Kelly. This tome is built on the writings of the renowned wizard from the world of Greyhawk, gathered over a lifetime of research and scholarship. In his travels to other realms and other planes of existence, he has made many friends, and has risked his life an equal number of times, to amass the knowledge contained herein. 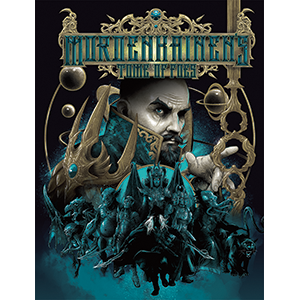 In addition to Mordenkainen�s musings on the endless wars of the multiverse, the book contains game statistics for dozens of monsters: new demons and devils, several varieties of elves and duergar, and a vast array of other creatures from throughout the planes of existence.